I worked out before coaching the 10 and 11 sessions at CFS. Jeff was cleaning the last of the mess from yesterday’s Grand Opening. He’s such a nice person! I instructed athletes that they had many options. Unlike with some WODs, those who chose to work in teams could work the entire time, i.e., there was no requirement that only one person could work at a time. Jeff and I were the only ones who completed the workout solo, and all other members completed in teams of two. Not surprisingly, all teams finished within 2 minutes of each other. Also not surprisingly, all teams approached this workout differently. Some completed the work side by side, running together, doing chin-ups, V-ups, and 1-armed KB swings together, etc. Angie and Glenda were the most synchronized. Camellia and Marianne were the most evenly matched. Jay and May were the most supportive. Chris and Robin communicated the most effectively – mostly nonverbally. John was the most encouraging teammate, and Mark (and his hair) needed it. Cheri was the friendliest teammate, completing chin-ups for MJ (even though I had initially decided that this wouldn’t be allowed). Nice work, all! I demonstrated partner carries by carrying Marianne, Jay, Mark, and Jeff. Back to me and my workout. 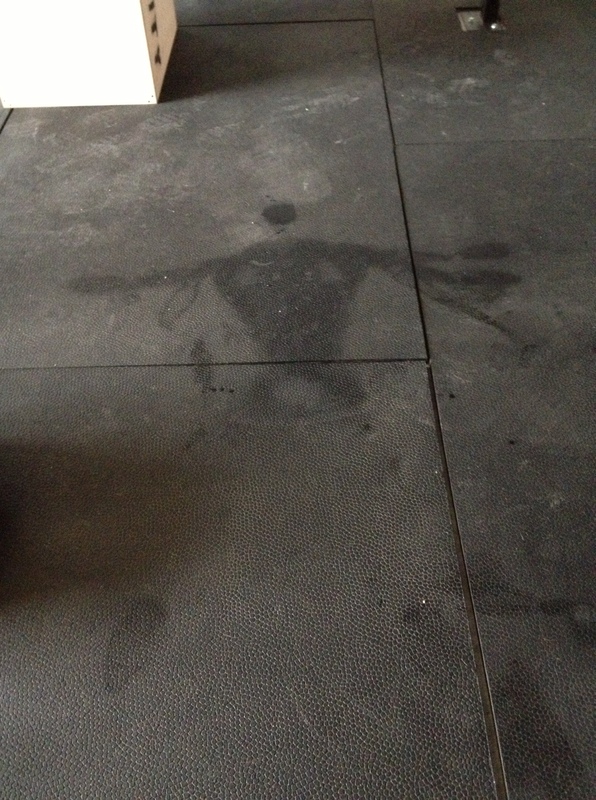 I ran 400m, and then completed 5 sets of 10 reps of GHD sit-ups, 44# 1-armed KB swings, and chin-ups. I completed all rounds unbroken. I ran another 400m. I had asked Jeff to be waiting for me, and I carried him 100m. He made me put him down because in his words, “You’re too bony.” My shoulders are indeed bony. I had planned on asking him to carry me the last 100m, but instead carried him an additional 100m. My total time was 14:54. As Jeff also completed the workout solo, he carried me 200m. I’d much rather carry than be carried. I’m a pitcher, not a catcher. At one point while he was carrying me he asked, “Are you biting me?” I replied, “Did you just ask if I was biting you? No, I’m not biting you!” “Oh,” he said, “it’s your razor stubble.” Ha!